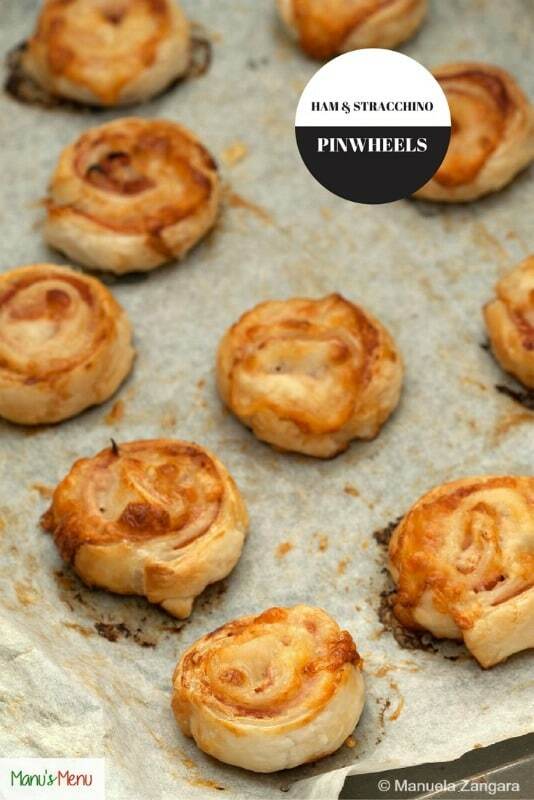 I recently made these Ham and Stracchino Pinwheels and it was love at first bite! I think these will make it to our dinner table during the Holiday Season. They make a great addition to any buffet! 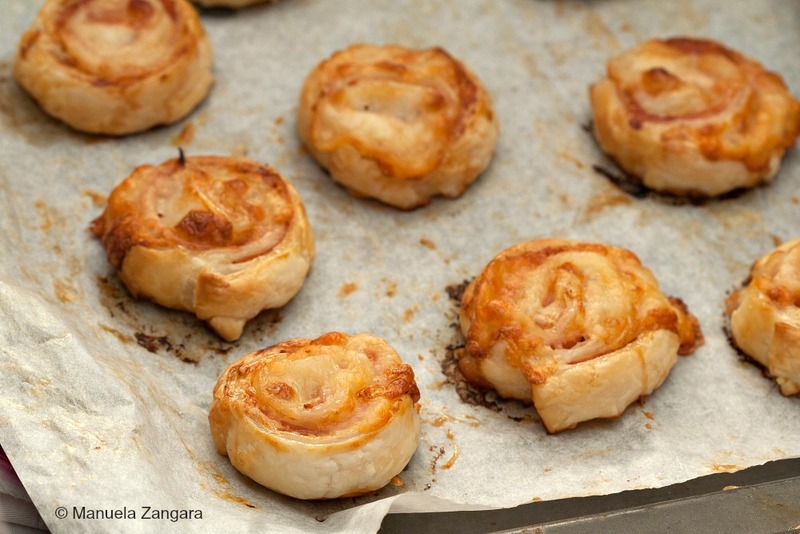 I love anything made with puff pastry, but these pinwheels are special. The stracchino cheese is what sets them apart! And the best part? They are really quick to make! Enjoy! 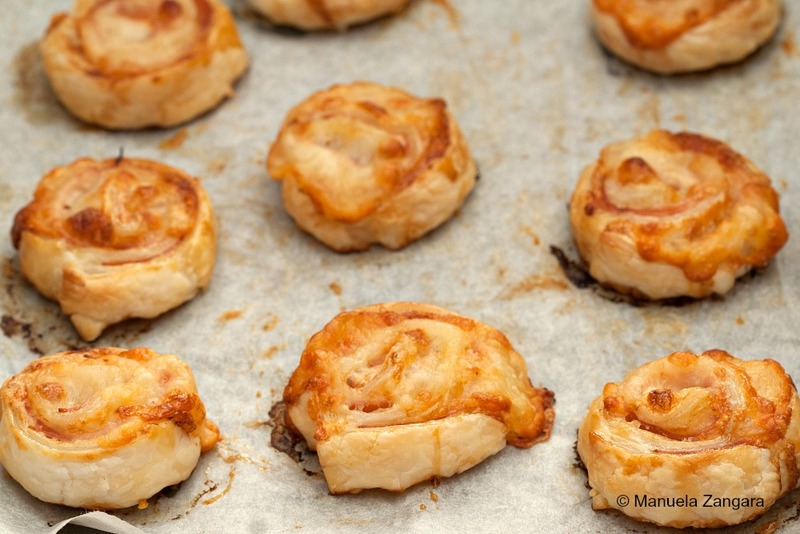 Ham and Stracchino Pinwheels - the recipe for scrumptious and easy savoury puff pastry treats. 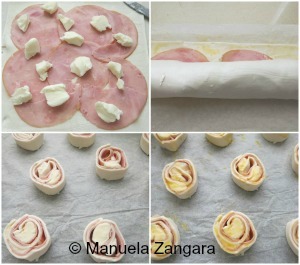 Put the ham slices and the chopped stracchino cheese on top of the puff pastry sheet. Roll the puff pastry, as tightly as possible, like a Swiss roll. Slice 2.5 cm – 1 inch slices and put them on a tray covered with baking paper. Brush with egg wash (optional) and bake in a pre-heated oven at 170°C – 340°F for 15 to 20 minutes, or until puffed and golden brown.